This Dawn of Justice Armored Batman Mask is just what the doctor ordered! Based on the one worn by Ben Afleck (or Bat-fleck, if you will), it recreates the armored style seen in the climatic battle in the Batman v Superman movie. 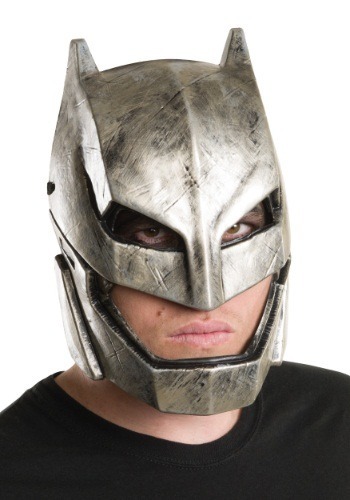 Once you have it on, Supes will have to take you seriously, since this mask makes you look like one tough hombre, straight out of Gotham City.